Nutrients in their rawest form are merely chemicals that any living organism needs to consume to continue their survival. Nutrients help give us energy to perform daily functions, as well as fuel to build tissues and grow. These nutrients are broken up into two distinct categories. The first being macronutrients, which are substances that provide calorie value, or calories which are metabolized for energy. 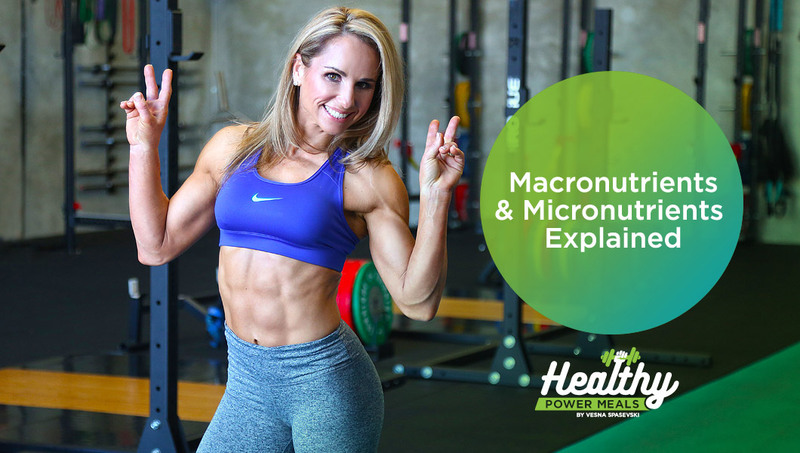 Macronutrients are called “macro” because we need them in large amounts. In Greek or Latin, Macro’s definition is large in scale, or big. The second group is called micronutrients. With these nutrients we only need smaller quantities. Hence the “micro” which means… Yes, you guessed it, means “small” in Greek and Latin. These are just as important as the first category in the sense that we need them, but the significant difference lies in the sheer amount of the nutrients we need to digest. Macronutrients are essential for all functions that are performed with the body because they serve us with fuel. Without that energy/fuel our bodies would not be able to perform the constant upkeep required and we would eventually die. Our everyday diet is comprised of three main macronutrients. Each has it’s own caloric value. It’s true, our bodies love carbs (Don’t we all), and it’s no secret either that our bodies prefer to burn carbs. They are smaller than fats making them easier to burn, as fat performs special purposes with the construction of cells and gives our skin its elasticity. Proteins also perform their own purpose with providing the building blocks for soft tissue repair and development. Carbs: These are our main source of fuel and are easily converted within our bodies. Our cells require the glucose or energy for the central nervous, kidney, brain, and muscles to function and sustain. Once carbs are consumed and converted to glycogen they are then either used as energy for bodily functions or then stored within the body as Fat. Fats: This macro helps with bodies normal growth and development as providing great secondary source of energy. Fat helps with absorption of vitamins, provides cushioning for organs and helps maintain cell membranes. It also helps provide taste, consistency, and stability to food. 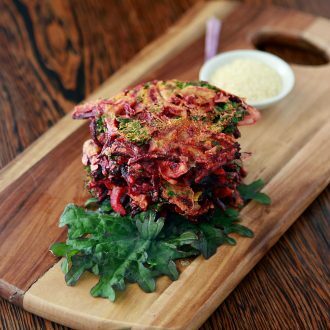 Proteins: proteins help with growth, especially in children, teens, and pregnant women as well as tissue repair, immune function and the making of essential hormones and enzymes. Proteins provide energy when nothing else is available as well as preserving of lean muscle mass. Micronutrients are nutrients we require in relatively small quantities. They are vitamins and minerals, and our good health requires them in milligram and microgram amounts. Recall that fats, carbohydrates and proteins are macronutrients, meaning that we require them in relatively large quantities. We consume the macronutrients in gram amounts. For example, we might have 200 grams of carbohydrate, 100 grams of protein and 50 grams of fat, yet only 18 mg of iron and 400 micrograms of folate. Vitamins are carbon-containing molecules and are classified as either water-soluble or fat-soluble. They can be changed and inactivated by heat, oxygen, light and chemical processes. The amount of vitamins in a food depends on the growing conditions, processing, storage and cooking methods. Minerals do not contain carbon, and are not destroyed by heat or light. Unlike other nutrients, minerals are in their simplest chemical form. Minerals are elements. Whether found in bone, seashells, cast iron pots or the soil, they are they same as the minerals in our food and our bodies. The mineral content of plant foods varies with the soil content and the maturation of the plant. When aiming at your desired levels of macro and micro nutrients keep in mind to eat plenty of vegetables, fruits, lean fatty meats, and nuts and grains. These contain a ton of vitamins and minerals like Vitamin A (carrots, spinach, milk, eggs), Folic Acid (asparagus, dark leafy greens), Iodine (seaweed, fish), Iron (lentils, red meats, leafy vegetable), and Zinc (eggs, buts, cereals, seafood), just to name a few. We suggest starting a daily meal planner or consulting a nutritionist for extra direction in getting the most nutrition out of your diet. Above all, remember to avoid food high in fat content, salt, and sugars!